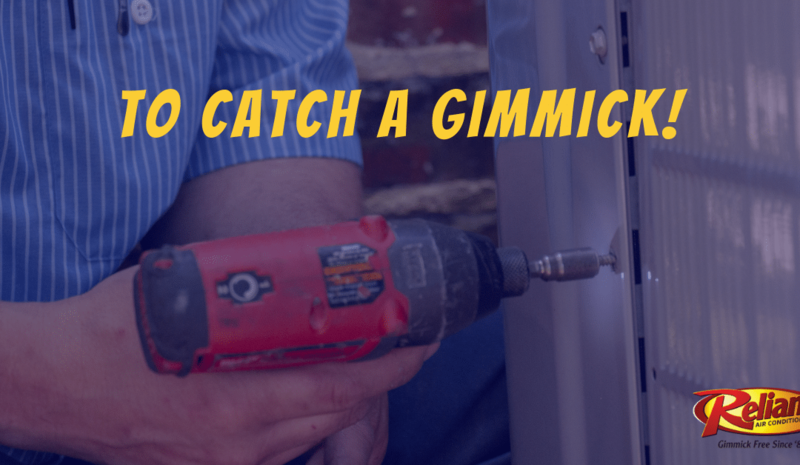 We’re turning up the heat and exposing the gimmicks of other air conditioning and heating companies in the Dallas-Fort Worth area so that you can be prepared when it’s time to make that service call. First of all, you’re paying for the repair regardless, the “free” part is referring to the service fee. But when you’re charging $250 an hour PLUS a 500% markup on parts, who cares about the lousy service fee? The same applies to being on time. If they’re late and end up forgoing the service fee, they really don’t care. If they can’t get you coming, they’ll ALWAYS get you going. The corporate hustlers in this trade have turned to Madison Avenue for the answers. They’ve studied consumer behavior and have learned how to push your buttons. They know what you want to hear. They glibly promise anything and everything if only you’ll call. And they do so convincingly. Many of them look and act like the all-American guy next door. Same day service is just one of many things they glibly promise. Quite often it’s a promise they can indeed keep. We do same day service calls often. But naturally, it’s an impossible promise to keep 100% of the time. When a heat way or a cold snap hits there are always going to be backlogs. As a result, they’ll end up paying out on the “same day or it’s free” offer. But then it doesn’t really matter because their only concern is that you’ve made the appointment. They don’t care how they hook you, only that they have hooked you. You’ll still pay for the repair. And therein lays the real payout. When it comes to HVAC you are buying a service first, and a product second. The best and most expensive equipment you can buy will perform horribly if installed by a lousy contractor. Conversely, the cheapest equipment you can buy will perform well if installed by a good contractor. At Reliant Air Conditioning, our installers are all factory trained on proper installation methods. They’re not seasonal help either, they’ve been with us for years. The differences between HVAC brands are largely cosmetic. Most brands source parts from the same suppliers. They use the same technologies. Some brand may offer features that others don’t but in terms of quality, you simply can’t prove that one brand is better than the other. The contractor is key. A good installation is all about the contractor first and the parts second. Find the best contractor. Then work with the brands that he or she sells. We all saw the ABC News sting on AC companies: they rigged a house with a simple broken wire, should have been a simple repair, but sure enough techs from all 6 companies tried to swindle the poor lady out of hundreds of dollars in phony repairs. Why does this happen in our industry? Problem number one is those techs are on commission. They’re getting 10-12% of every dollar you pay them on that service call, it breeds dishonesty. An even bigger problem is that techs at those commission-based companies are required to generate a certain amount of revenue per call, or they’ll get fired! So they have to do that stuff to keep their jobs! Customer service is an attitude, a strong-willed commitment to do what is right for the customer and deliver on the promises made. We expect our team at Reliant to WOW you! Our goal is to deliver the best value; a combination of a great service company and great people with pride in workmanship and a fanatical attitude towards customer service.